Selah Restaurant is located in an old bank building at 130 S Bridge Street, downtown Struthers, Ohio. It’s a hometown restaurant with big city flair! Designed rooms, original photography, brass teller cages, a walk-in vault, full bakery onsite, and an open-air feel make you forget you’re in the bustle of a restaurant as you break bread with friends. I HAD BEEN wanting to go to Selah ever since we drove by it in Struthers over a year ago. It looked stylish and tempting from the outside, and it featured the word ESPRESSO on a sign. (One of my magic words.) I was down to my last chance to go there before we move back to New Mexico this coming week, so I jumped on it for a farewell dinner with friends. When my friend Joanne (born and raised in Struthers) heard my choice, she told me how she used to make deposits into her checking account many years ago back when that building was a bank. And that the owners have kept all the original bank decor (even the teller windows), with the bank vault as a special dining room. 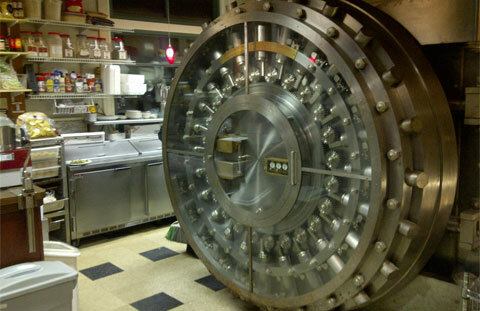 Needless to say, after I heard that we made our reservations for the bank vault. And we were lucky to have it all to ourselves. 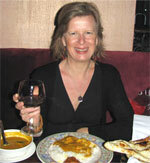 It felt exotic to be eating dinner in a place that once upon a time was the inner sanctum. We were surrounded by hundreds of safety deposit boxes of various sizes, including big ones that were probably only used by wealthy locals. Brian took these photos with his cell phone, but hopefully they convey a little of the eclectic atmosphere. The food was delicious too. I had Beef Tips in Bourbon Sauce, Brian had a big ol’ steak with garlic mashed potatoes, Joanne had salmon and Ron ordered the shrimp linguine. For dessert Joanne and I ate Italian cream cake. Yum. I’m so glad I got to experience Selah in person. 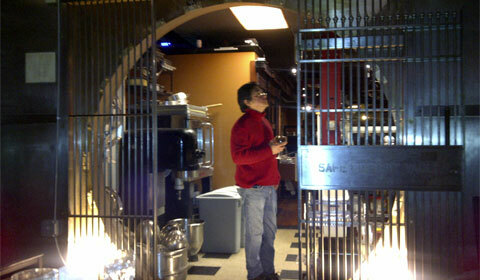 The owners have gone to great lengths to incorporate creativity into every aspect of their restaurant. Okay – that is WAY cool! I would have LOVED eating there and seeing such a unique restaurant! What a fun place to go…and a fun post! Tell Brian the pictures are great! It really shows the “Banking” theme, turned restaurant. Good to see the site active again too! Thanks for the article Milli, and I wish you a successful move. Betsy, it was hard to do justice to this place with a cell phone camera, so I’m glad you liked Brian’s photos. I agree about the preservation of the building. It’s just awesome all the way ’round. Makes the restaurant more interesting AND it preserves some local history. 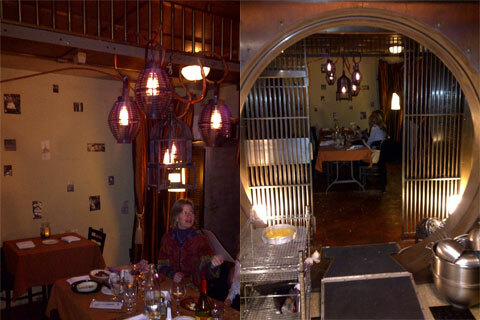 Ed, I love a restaurant that has both atmosphere and good food, so Selah was perfect. Even better was that my friend, a local, could lead me around and tell me her memories of that place when it was a bank. Very cool. Yep, there’s tons of good eatin’ in New Mexico. I’ve already got some joints picked out to take you to when you visit me. Everything from cuisine to cafes, and all very yummy. It would depend more on the food of course, but I’m positive he would love the design! 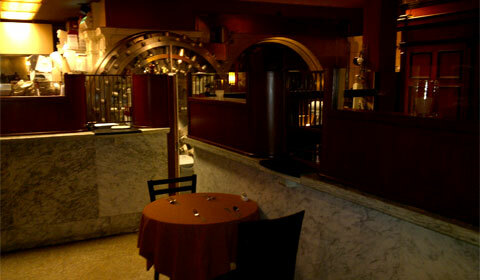 Nice, I love these kind of novelty locations, I just went to the “speakeasy” in san fran!